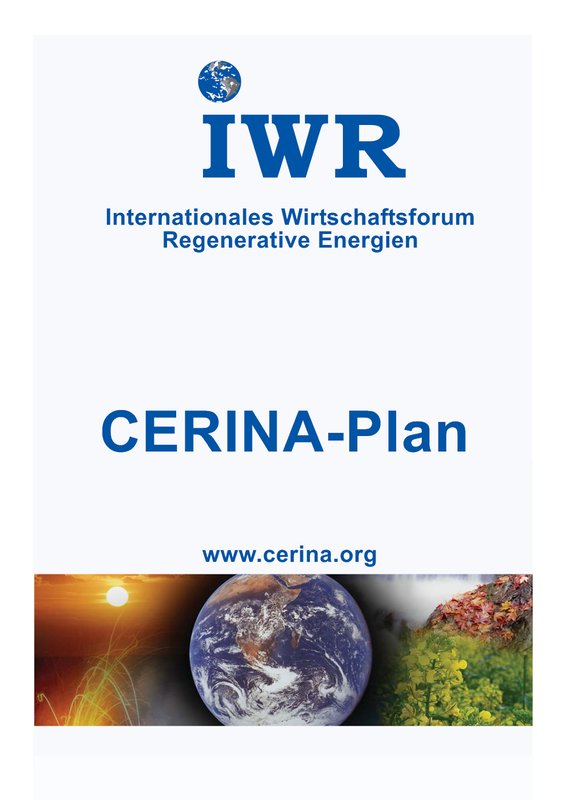 The CERINA plan (CO2 Emissions and Renewable Investment Action Plan) is an investment model by means of which CO2 emissions are compensated for through investments in renewable energy technologies. Since 2009, the German Based Renewable Energy Industry (IWR) has been determining global CO2 emissions and those of individual states using the fossil fuel energy consumption data of BP. On this basis, the amount of investment in renewable technology needed to stabilise global CO2 emissions at the current level is then computed for each country. On the basis of an objective allocation key per metric ton of CO2, the level of investment can be specified according to the source. Countries with low emissions are required to make lower investments than are countries with high emissions. Emissions and renewable energy investments for 65 countries in 15 languages can be found here.